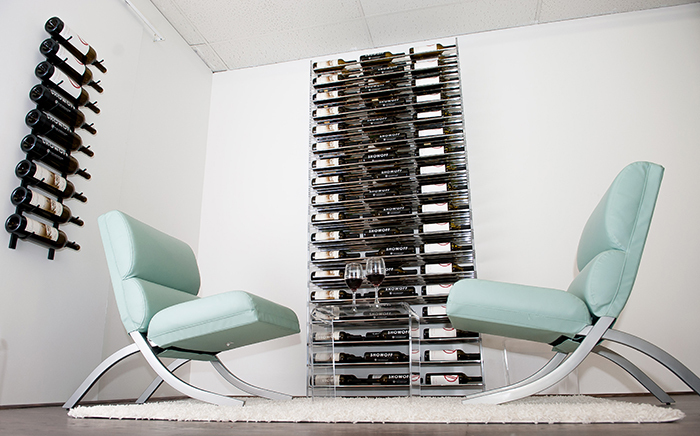 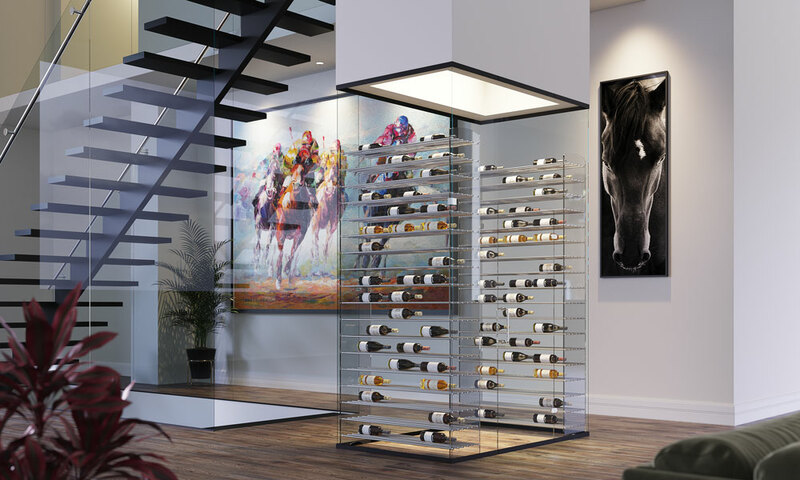 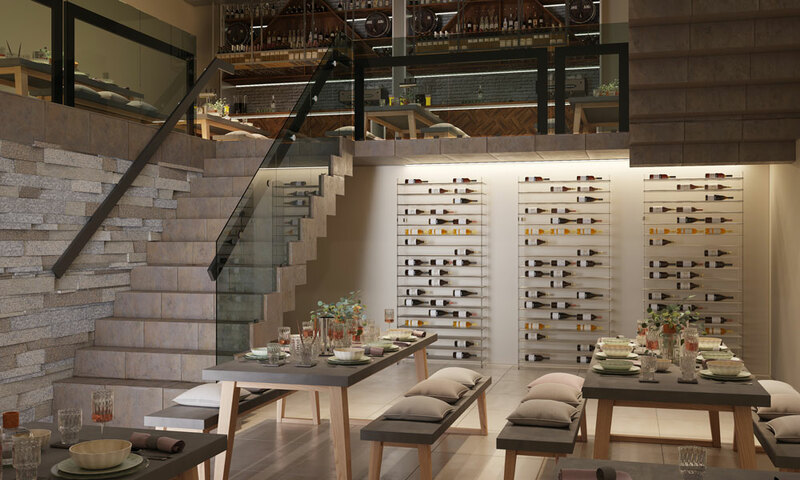 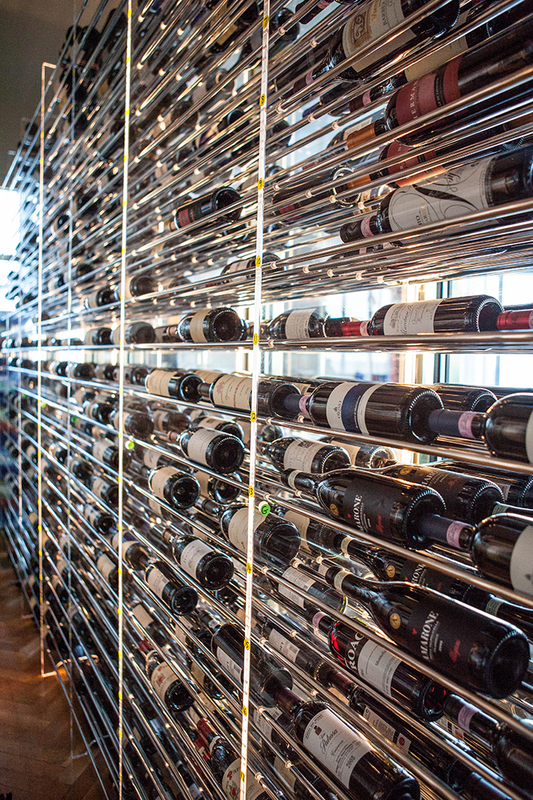 The Wine Tower 8 fills a wall to most ceiling heights. 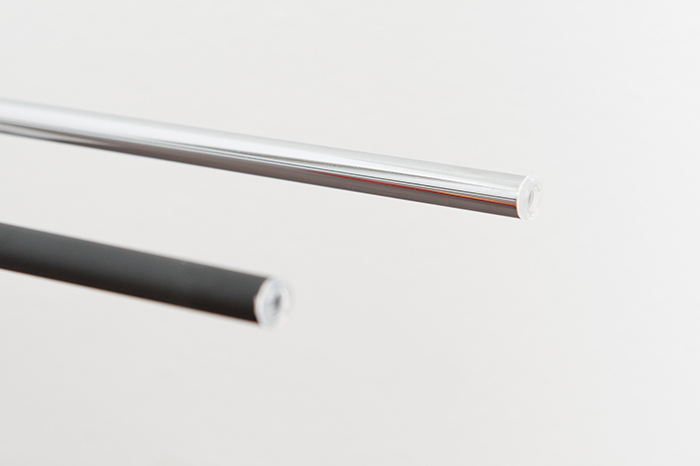 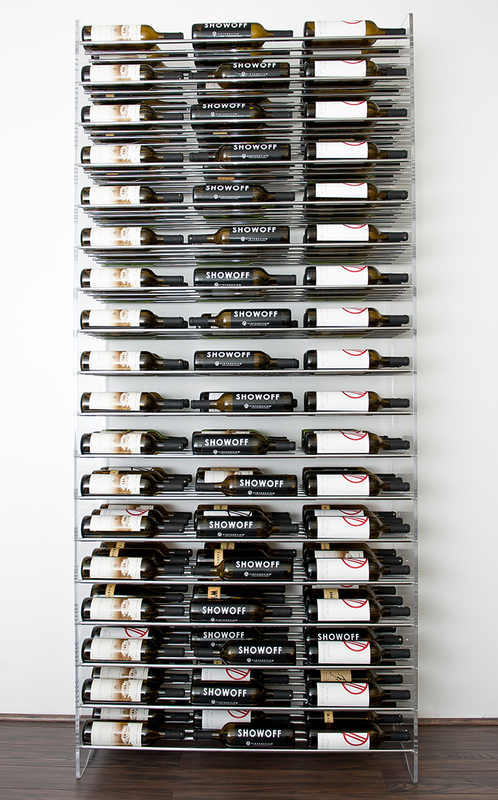 The base kit holds 162 bottles with expansion to 648+ available. 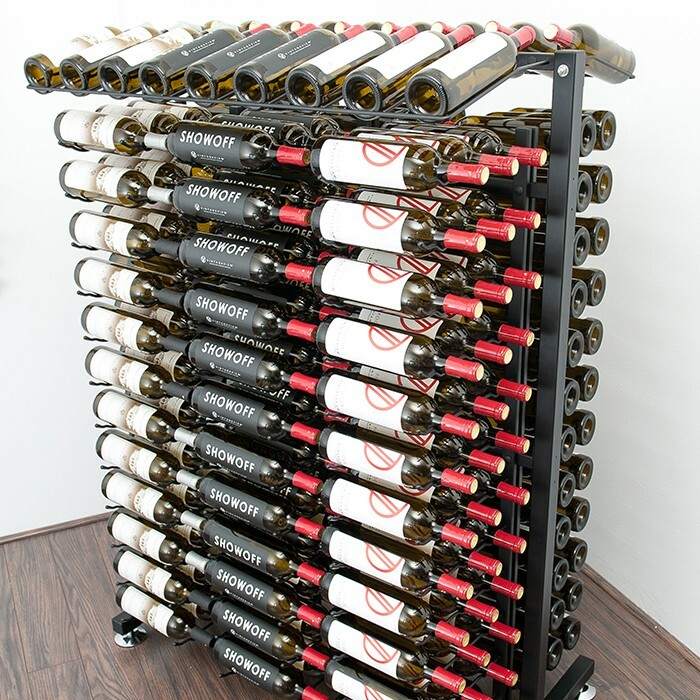 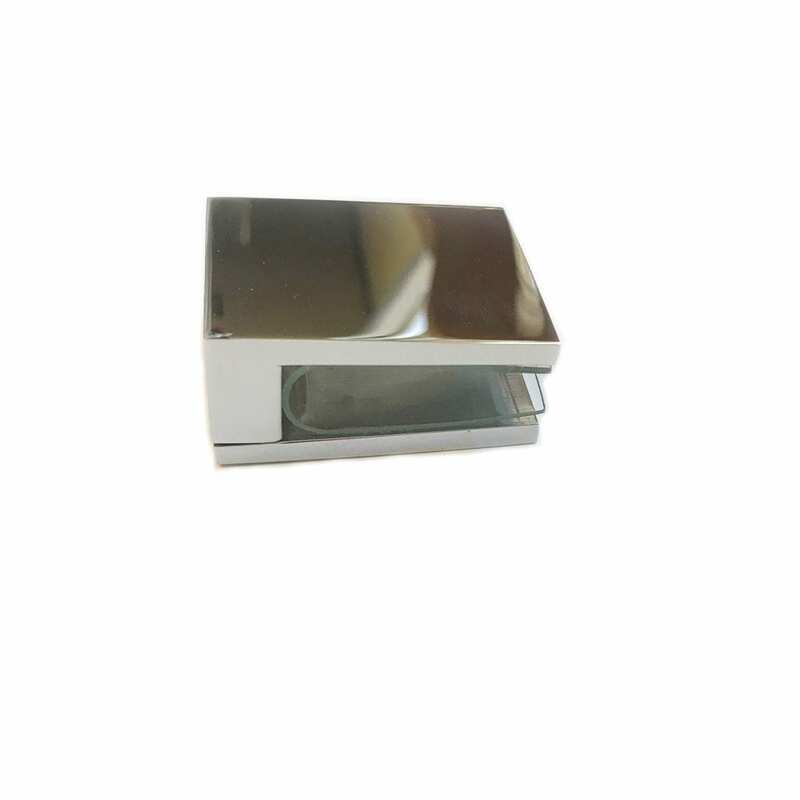 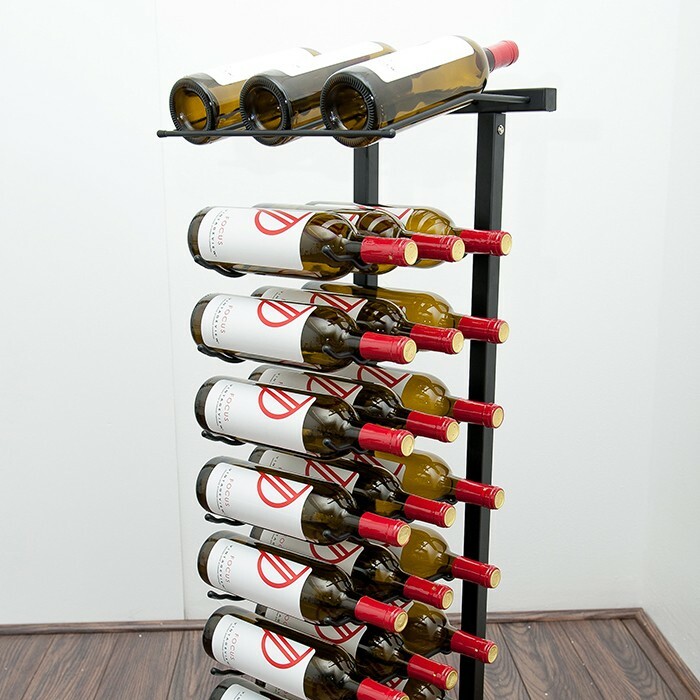 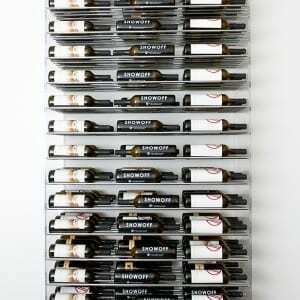 Holds 162 to 648+ 750ml wine bottles in nine rows (three-bottle depth) | email us if you want to go bigger!